Acer 21.5 Inch All In One PC Release Date is March 12? 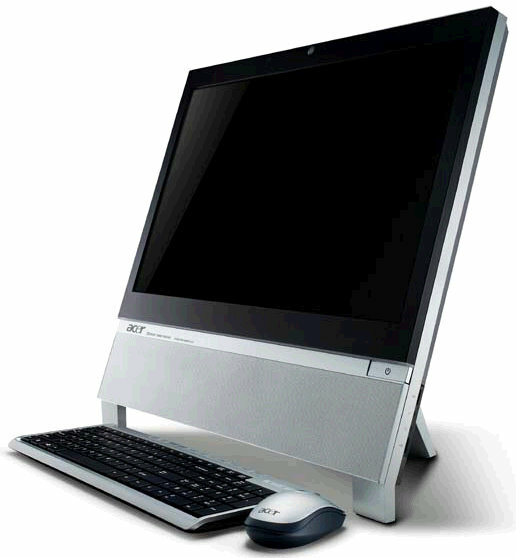 I’ve had a few people ask me about a release date on the Acer AZ3750-A34D 21.5 inch all in one PC. After doing some more digging around, I was able to find a Japanese website that claims the Acer PC will be released on March 12th. People seem interested in Acer’s new super PC, especially with a price tag of less than $1000. 1,920 × 1,080 dot (full HD)-enabled 21.5 inch widescreen LCD display (glare)-one PC. The main specifications, Core i3-550 (3.20GHz, onboard video), Memory 4GB, HDD 500GB, Intel H57 Express chipset, DVD burner, 21.5-inch full HD LCD, Windows 7 Home Premium (64bit) equipped with . Interface USB 2.0 × 8, Gigabit Ethernet, IEEE 802.11b/g/n Wireless LAN, mini D-Sub15 pin, PS / 2 × 2, SD card / Memory Stick / xD-Picture Card compatible card reader, Web camera, audio input and output equipment. Sound features, equipped with Dolby Home Theater.